Two of the most celebrated flavours of autumn are pork and apples. Apples are harvested throughout most of the world in Autumn, which means that they are a staple in desserts as well as entrees. Pork, of course, is a familiar dish throughout the year, but it is especially popular when the weather begins to cool and root vegetables are in season. 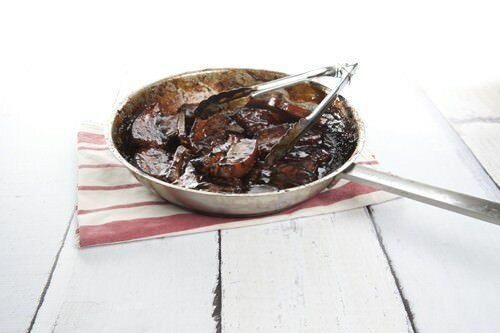 This Sticky Glazed Pork Ribs and apple sauce dish is such a classic hit because the flavours work so well together and there is a real sweetness evident in the meal. I have used pork ribs in my version of this dish but a succulent piece of pork belly would work equally as well. 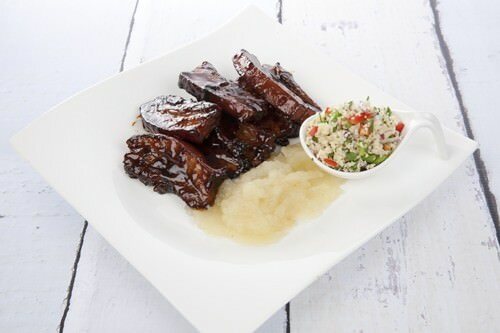 Deliciously sticky glazed pork ribs with a classic applesauce. Combine the marinade ingredients in a bowl and add the pork. Marinade for at least an hour. To make the apple sauce; slice the peeled apple and add the water, sugar, cinnamon and star anise. Allow the ingredients to simmer until the apples are soft and most of the water has evaporated. Remove the spices and puree the apple in a food processor. Heat the oil in a pan and cook the pork (reserving the marinade) on a high heat until golden. Reduce the heat and add the marinade to the pan, simmer the meat and marinade together until the sauce has reduced to a glaze. If you would like to find the perfect wine match for this dish, head over to my Autumn Wine Matching Post.